Thanksgiving is one of the most popular holidays to travel. This means I-25 is bound to be cram-packed with vacationers the day before Thanksgiving along with the Saturday and Sunday after. Whether you decide to brave these busy travel days or you have the flexibility to arrive earlier or leave later, follow these tips for a successful Thanksgiving road trip. Check your tire tread and air pressure, and make sure the spare tire is inflated. Consider a new set of all-weather or winter tires just in time for the road trip. Check your fluid levels, including the transmission fluid, power steering fluid, coolant, and windshield wiper fluid. Get an oil change if your car is within 1,000 miles of needing it. Check the condition of other car components, including hoses, belts, lights, and brakes. Make sure you have an up-to-date copy of your car insurance card in the glove compartment. The safest place for your luggage is in the trunk. If you need extra space, consider a rooftop luggage carrier. This gives passengers more room to spread out and get comfortable. Plus, if you get into an accident, you prevent suitcases from becoming dangerous projectiles. If you’re bringing along any food, transport dishes in tightly sealed containers and secure them properly. Your new jeans won’t look as cute if the driver brakes suddenly and sends the casserole you’re holding spilling onto your lap. As for traveling with pets, make sure they are secured in a restraint harness, behind a dog gate, or in a crate. For safety reasons, you should never allow pets to roam freely around your car or in the bed of your truck. According to the National Highway Traffic Safety Administration, one-third of fatal car crashes that take place on Thanksgiving Day are caused by drunk drivers. Even though this figure is lower than holidays like New Year’s Day and the Fourth of July, just one drunk driver on the road is one too many. In addition to driving sober, make sure you also feel awake and alert before getting behind the wheel. This means you might want to sleep off all those potatoes, rolls, and turkey legs before you get in the car. After all, carb-heavy dishes produce sleep-promoting melatonin, and turkey is famous for its high tryptophan levels, an amino acid that makes you drowsy. Have each child pack a bag with books, music, small toys, and other activities. Play a game as a family. To ensure you never run out of fuel on a long stretch of highway that doesn’t have a gas station, make an effort to refuel as soon as the gauge hits half a tank. This also gives you a chance to check the oil and tire pressure. Let everyone out to stretch their legs, use the bathroom, and buy a snack at the gas station. Your trip will take a little longer with more frequent stops, but your body will feel better, and your sanity level will remain higher. 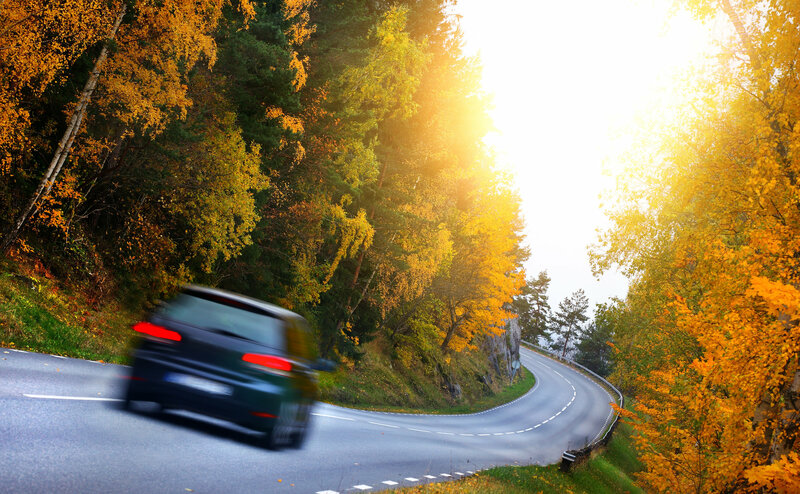 Before leaving on your much-anticipated Thanksgiving road trip, bring your car to Scott’s Fort Collins Auto. We’ll tune up your car and make sure it’s roadworthy. Stop by at your convenience or call ahead at (970) 682-4202. You can also schedule your appointment online.